It’s always been Dry Bones’ mode of operation to “not reinvent the wheel.” If there’s a great GED, housing, or medical program, then let’s partner with them! We don’t need to start our own program. Partnership is our forte. (You can read a little more about our value of partnership vs ownership here. )If there’s a great drop-in center, then let’s bless them and continue to seek out our areas of expertise and fulfill missing needs with creativity, innovation, and love. After living life among our friends for 6 years, we finally became overwhelmed by the lack of employment success and job opportunities for our friends. We dreamed and prayed for the right opportunity. We asked God to send us some capable folks who could carry this vision to the next level. To make a long story short, Madison Chandler (former DB summer and one-year intern) and Mark Smesrud (former DB intern) picked up the dream and ran with it! 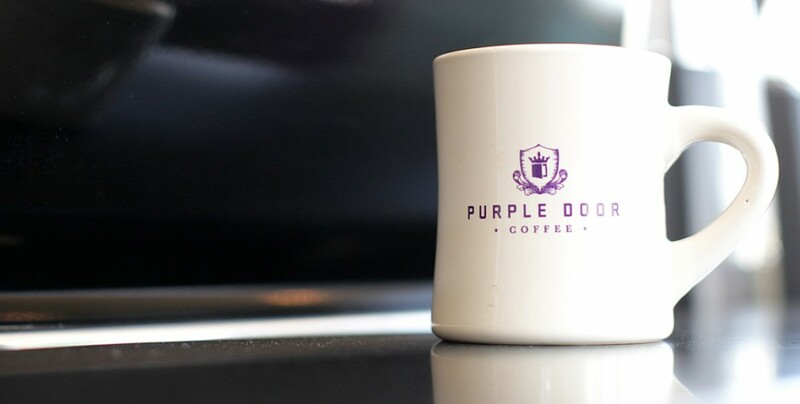 Thanks to partnerships and collaborations with Belay Enterprises of Denver and New Horizons of Seattle, Purple Door Coffee shop opened for business in 2013. PDC is now an independent 501(c)3 organization separate from Dry Bones. All referrals for the program come through the community of Dry Bones. In 2016, Purple Door began sourcing and roasting coffee. Our warehouse is located in Englewood and all new program employees begin their time with PDC at the warehouse. 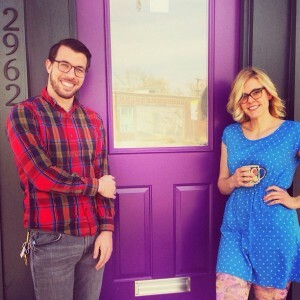 Purple Door Coffee serves youth and young adults (friends of Dry Bones) who are working to exit street life. They provide a work program that leads to permanent employment, teach soft job skills, give practical experience, build a resume, and continue healthy relationship. While participating in the program, Dry Bones staff and volunteers remain close and very supportive. Dry Bones is able to support PDC employees with wrap-around resource services, therapy, and vital spiritual, emotional, and physical support. It’s a beautiful partnership. Purple Door Coffee also serves YOU, the customer. It is a coffee shop that is open to the public. We hope you will find your way there soon. 1. Become a regular! Go buy the best latte or coffee you will ever taste (2962 Welton St – corner of 30th & Welton). 2. Visit the PDC website and blog to keep up to date and learn more. 5. Keep them in your prayers.